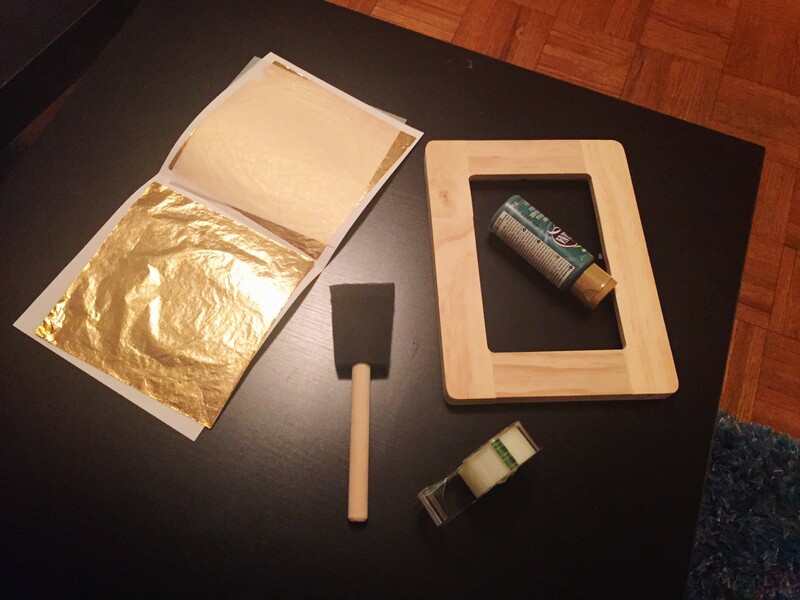 These beautiful gold leaf sheets have been with me for years because I never deem a craft good enough for them. Well thats just stupid. I take out the sheets, tape, my left over green/teal paint from my Guess Who? board and a wood frame that I’ve been wanting to spruce up. All I needed were those four things. So I went to work. I taped up the frame in the design that I wanted so my paint lines would be straight. 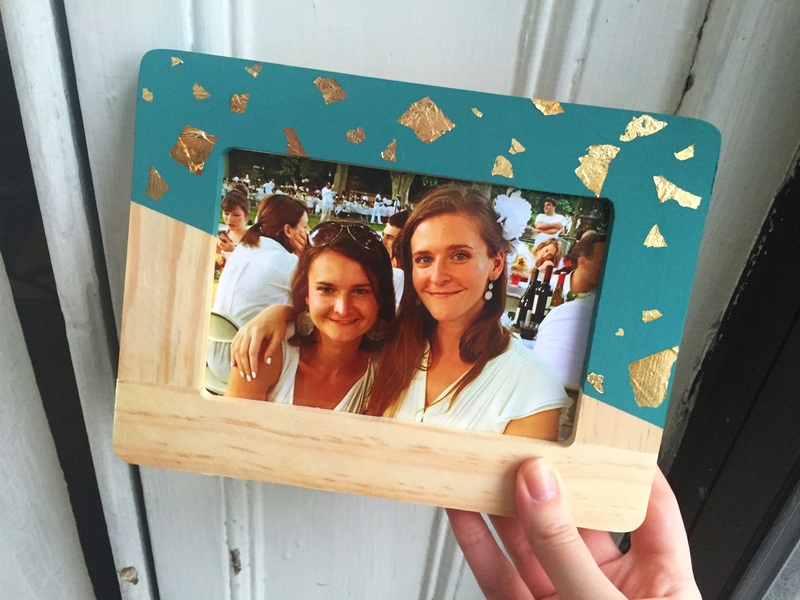 I used a foam brush to paint the frame and while the paint was wet, I put the little pieces of gold leaf on there. Now gold leaf is a little hard to work with. It kept ripping in my fingers and every time I would breath little pieces were flying everywhere. Then I would laugh and create more of a mess. But a little patience and holding my breath, twenty minutes later I was done! And I hardly used any of my gold leaf. Perfect. This morning I woke up to a beautiful frame. I am deciding whether to leave the bottom half the natural wood or maybe play around with it, but I have time to figure that out. An added bonus was remembering that I have chalk board paint!! Thats definitely going into the next craft.